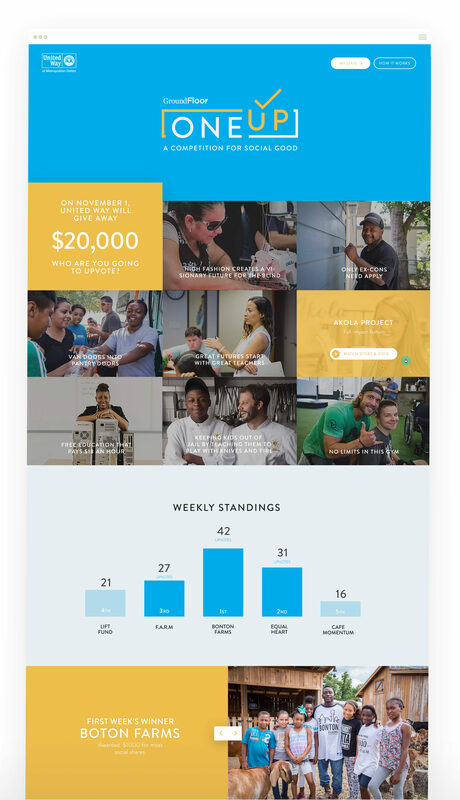 A digital competition where everyone wins. It would start with a social media-based campaign that engaged donors in action instead of donations. And by doing so, we’d be able to spotlight a handful of social good startups whose own stories deserved telling. Like the goal, our approach was also two-pronged. The first task was to provide a platform that could easily showcase each of the competing fellows and clearly outline the rules of the campaign. The second was to make voting so easy people couldn’t resist participating or sharing. To do so, we made a custom landing page that led with video storytelling to provide interesting, digestible background information, and we didn’t stop there. We incorporated video from each of the competitors, giving them a chance to plead their case in their own words. Then, we put the results in the hands of the audience. 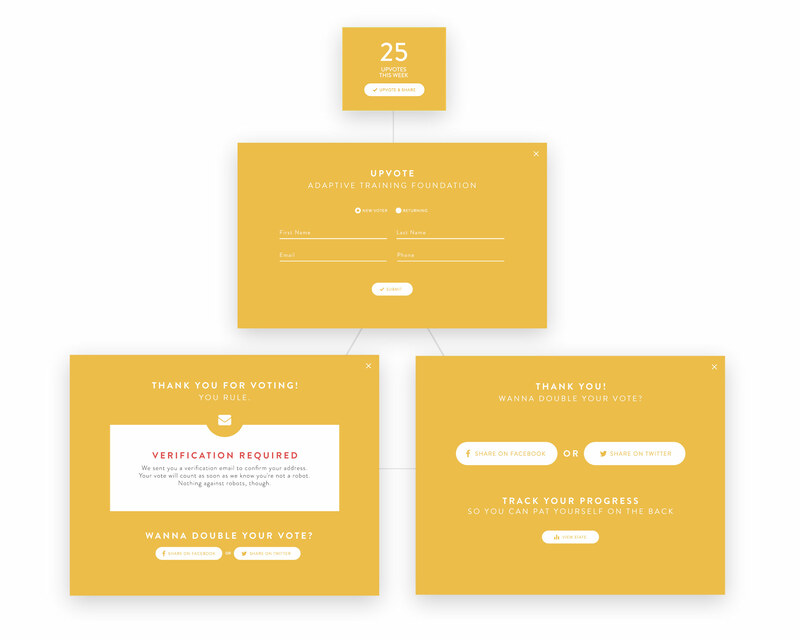 We made voting as simple as the click of a button and enabled voting once per day. The hook? 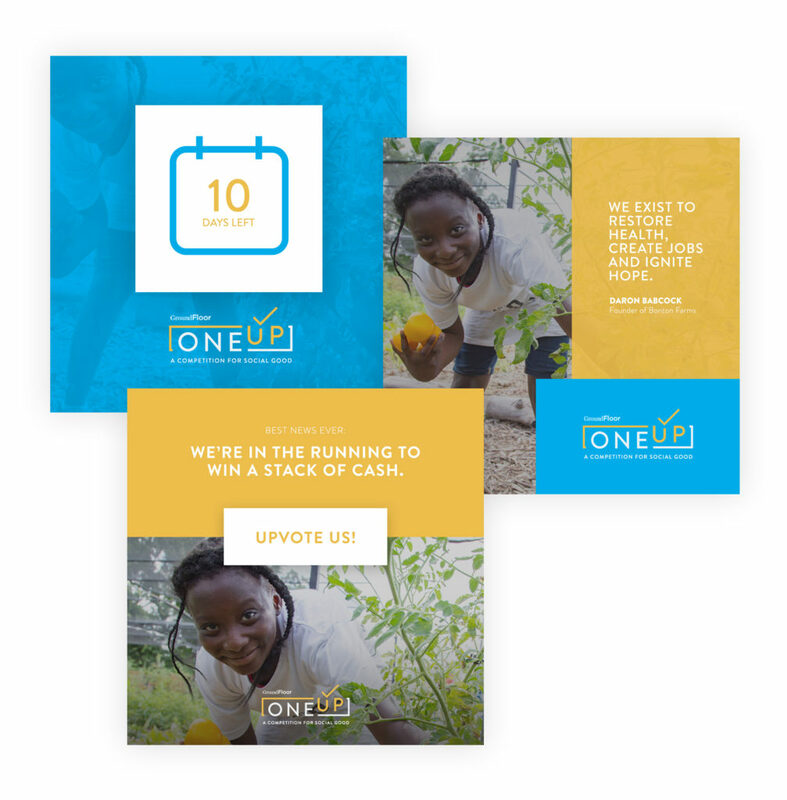 If they shared the campaign, their vote counted twice– doubling both their influence and the reach of the competition. Once voting began, we incorporated real-time data into the page, so viewers knew exactly where each participant stood. In one fell swoop, they could see: how many votes had been submitted, how many times the competition was shared, and how many days they had left to change the outcome. We kept the design simple so the competition could speak for itself. By showcasing all the NGOs on an interactive landing page, we kept click-thrus to a minimum and made voting hyper-accessible. 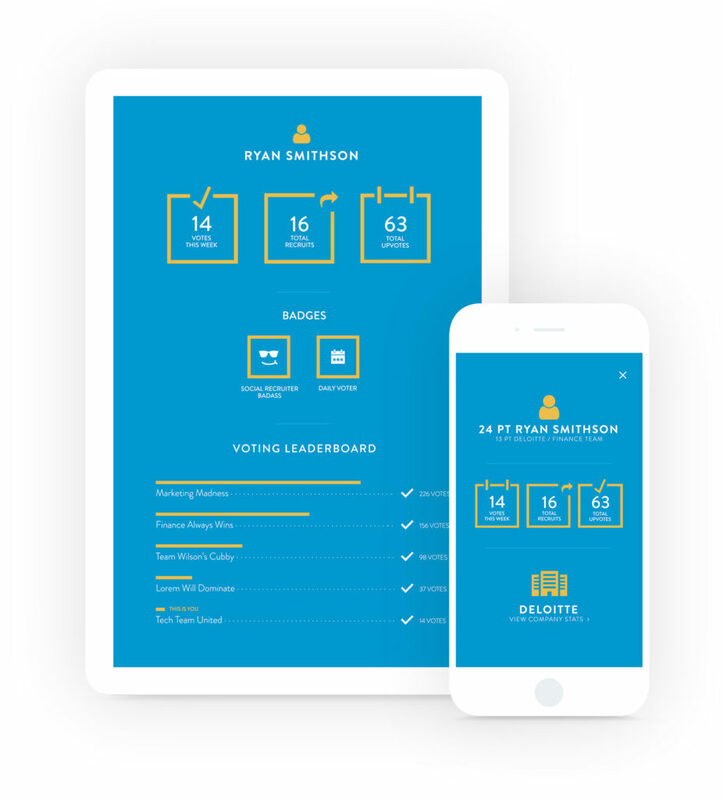 And to give it an exciting, competitive feel, we used bright colors and encouraged sharing between voters and their friends– enticing each team to OneUp the other.